Lean Muscle, Strength, Endurance, & Cell Volumization! Lean Muscle, Strength, Endurance, & Cell Volumization!Lean Muscle, Strength, Endurance, & Cell Volumization! Magnesium Creatine Chelate powder contains Creatine Magnapower, a patented ingredient from Albion Labs, which has been shown in studies to help improves exercise performance, allow ahletes to reach exhaustion later in their routines, and to produce significant strength gains in as little as 2 weeks. Magnesium Creatine Chelate is commonly used for increased lean muscle, strength, endurance, recovery, cell volumization, and reduction of muscular fatigue. 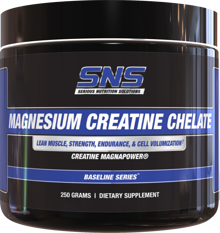 SNS Magnesium Creatine Chelate powder provides you with a convenient and cost effective way to use this awesome ingredient and to customize it to your deisred dosage needs. 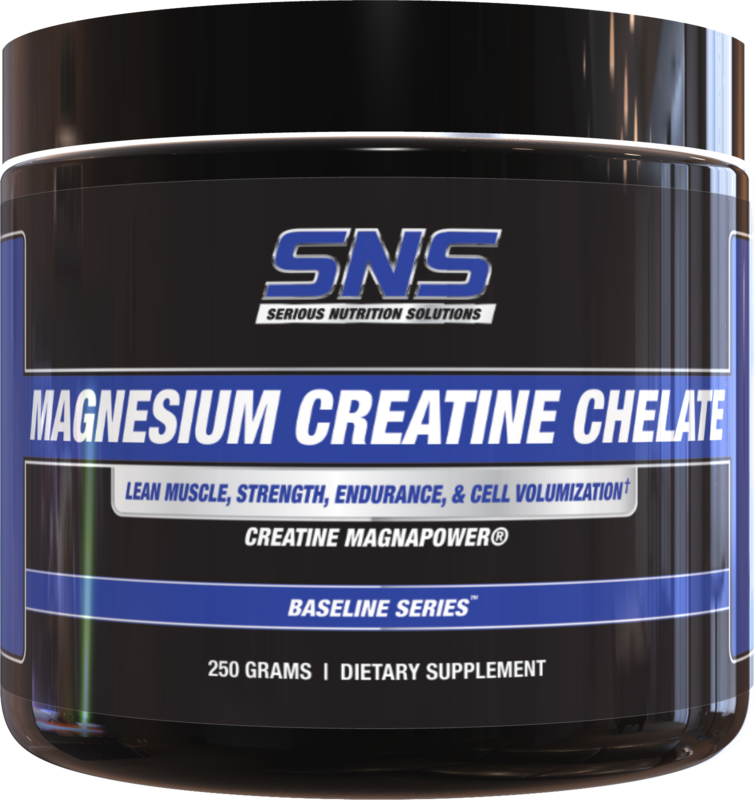 SNS Magnesium Creatine Chelate powder can be stacked with a variety of select other SNS products for improved synergistic results.